Magdalene Odundo brings together the art of sculpture and the craft of pottery to create striking ceramic vessels, whose resonances range from early Greek Cycladic sculpture to traditional African pottery. This book is the first full-length publication on the work of an artist who has achieved international recognition for her beautifully restrained ceramic forms. 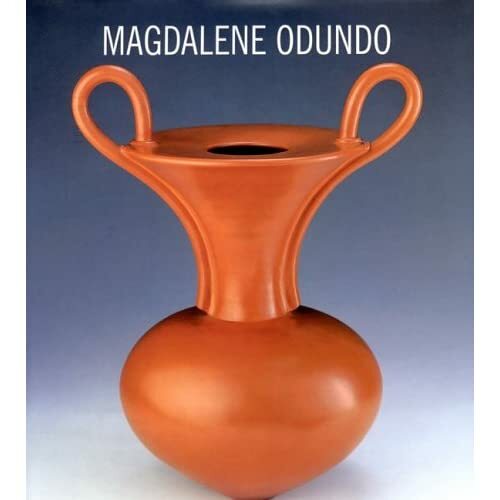 Born in Nairobi in 1950, Magdalene Odundo studied ceramics at the West Surrey College of Art and the Royal College of Art, travelling to Nigeria to research the mix of traditional and western cultural and technological concerns among potters there. She has since travelled widely in Europe, America and Africa, drawing on sources as varied as the pottery of New Mexico, the body art of Central Africa, and the forms of early Greek sculpture. Her work has a wide following and she is represented in major national collections worldwide. Magdalene Odundo provides a complete illustrated catalogue of the artist's work to date. Essays by Simon Olding and Emmanuel Cooper are accompanied by full-page colour reproductions of key works. The book will be widely welcomed by collectors, dealers, curators, art historians and all those with an interest in contemporary studio ceramics. Emmanuel Cooper is a potter and critic and Editor of Ceramic Review. Simon Olding is Director of the Crafts Study Centre, Farnham.